What Causes Water Hammer Noises? > Blog > Plumbing > What Causes Water Hammer Noises? Water hammer noises are unpleasant and a cause for worry. The thumping and pounding after running a faucet could be a signal for repairs. How do water hammer noises develop? You’ll need a better grasp of what causes those hammering and gurgling sounds to understand the repairs they require. 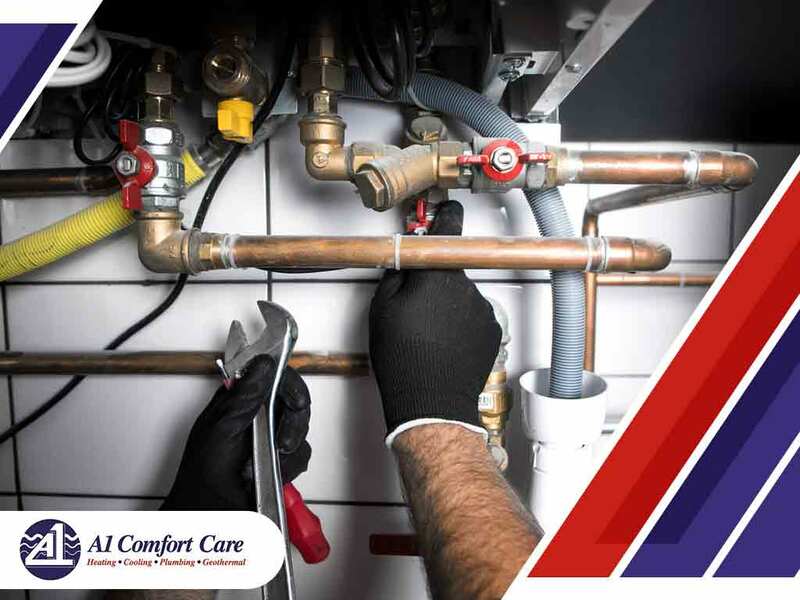 A-1 Comfort Care Heating, Cooling and Plumbing, your leading plumbing service provider, talks about the reasons behind water hammer noises and some of the ways to address them. There are different types of water lines used in a plumbing system. However, a particular material used in water lines for hot water supply pipes called the CPVC (chlorinated polyvinyl chloride) might be the culprit behind the pipe sound. This happens because, though CPVC pipes expand during usage, they still need adequate space to prevent friction, which causes the pipes to make noise. If you suspect your plumbing system has a poor line construction, you should call in your trusted plumbing services company for expert solutions. Noisy shaking pipes are associated with high water pressure or rapid water flow. When water flows through the pipes too fast, it has a tendency to rattle the walls and pipes, causing those loud hammering sounds you hear. To address high water pressure, call your local plumbing services company for a water gauge test to identify whether your pipes need adjustments or replacements. If you notice your pipes making sounds even when you’re not running any water, the main reason for the noise is probably sediment buildup. Hardened water minerals and rust accumulate in hot water pipes over time. The consequences include water hammer noises because of the steam bubbles escaping the sediment buildup at the bottom of the water heater tank. The good news is you can easily prevent sediment buildup from occurring by back-flushing cold water through hot water pipes. You should ask a professional to help you with this if you are unsure about what to do. A-1 Comfort Care Heating, Cooling and Plumbing can help you stop those water hammer noises and other plumbing concerns. Call us at (732) 993-7200 or fill out our contact form to receive a free project estimate. We serve homeowners in Wall and Freehold, NJ, and other areas in New Jersey.